This composition was written for my beautiful wife, Nadia, as a 2014 Christmas present (hence the final section which I wanted to sound ‘Christmas-like’). It lasts approximately seven-and-a-half minutes and is constructed of several different contrasting sections. 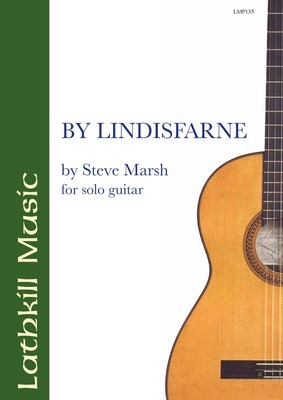 By Lindisfarne received its first recorded performance, and is the title track, on a CD devoted to the compositions of Steve Marsh by one of Ireland’s leading guitarists, Brian Farrell. Available to buy here.